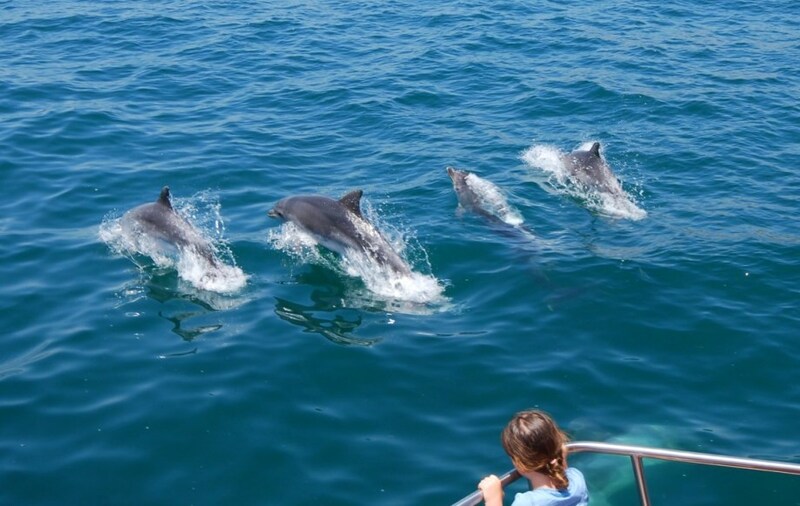 Photo: Dolphin Cruises are another great way to entertain and educate children, as well as great views of the coast. School holidays and vacations are all very fun for kids in Australia with a whole lot to do but there is plenty more for the rest of the year as well. Learning to surf, visiting a local petting zoo with native animals or even exotic ones, simple things like a picnic or BBQ at the beach, even experiencing Aboriginal culture and learning how to throw a boomerang from the experts. Canberra, our capital, has not only great National Museums and art galleries but also vast expanses of wilderness to explore. A great place for learning everything about this country: Canberra. Not far are the Snowy Mountains, in winter there is skiing, snowboarding and just about every winter sport imaginable for all levels of skill. Sydney has theme parks, entertainment centres, Taronga Zoo and a whole lot more. See Sydney Kids Fun. The Northern Territory has nature at its best. Take an Aboriginal tour, see crocodiles in their environment (be careful where you swim) and explore the National Parks. Darwin has swimming pools to help you stay cool. Alice Springs has the Australian Aviation Heritage Centre at Winnellie. There are planes of all kinds, both historical and record breakers. Borroloola Police Station Museum can show you what happened in this part of the world when crime and justice meet. At Jingili there is the Rapid Creek Water Gardens, with water fountains and scenic walks. Queensland has the Gold Coast with tons of stuff to do: Gold Coast for Kids. Brisbane also has lots of activities to choose from: Kids Activities, Brisbane. Things to Do in Adelaide SA for Kids see: Adelaide Fun for Kids. Activities in Tasmania: Tasmania Hobart Kids Fun. Australian Toy Museum, Melbourne Sports and Aquatic Centre, Scienceworks, Kryal Castle, Collingwood Children’s Farm and Puffing Billy Melbourne Kids Activities. Ashcomb Maze, Healesville Sanctuary, Surf World Surfing Museum, Royal Melbourne Zoo and Fun Factory Kids Activities Melbourne. Sovereign Hill Gold Panning, Victoria’s Open Range Zoo At Werribee, Geelong Naval & Maritime Museum, Ballarat Wildlife Park, Healesville Sanctuary, Melbourne Aquarium and Classic Cinema. Melbourne Children Activities. Fun activities for Kids in Western Australia see: Perth. Main Photo: Dolphin Cruises are another great way to entertain and educate children, as well as great views of the coast.